Aperam UGINOX® TOP has been installed as shingles to provide a double-sided, durable matt façade on the £5.2m Galashiels Transport Interchange. 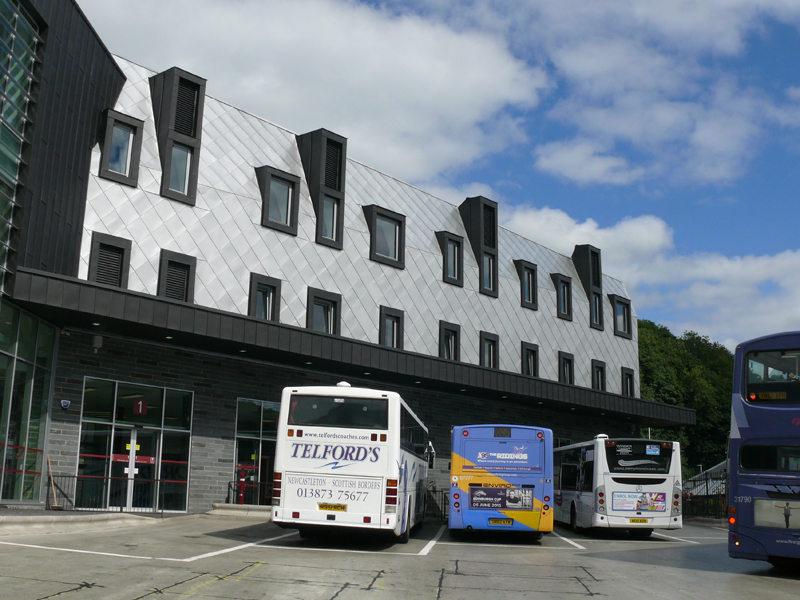 The vertical cladding changes into a sloping mansard on a statement building for the tourism entry point to the Scottish Borders by bus, rail and road. With over 30 miles of track re-laid, the link between Edinburgh and Tweedbank reversed the closure which had been part of the Beeching plan. Stainless steel was specified in preference to aluminium for its lasting appearance, corrosion resistance, dimensional stability, sustainability and lower installed cost. Specialist contractor Longworth Metal Roofing fabricated the shingles off-site to minimise waste and ensure the highest standard of consistency. All off-cuts were recycled for fabrication into flashings and clips.